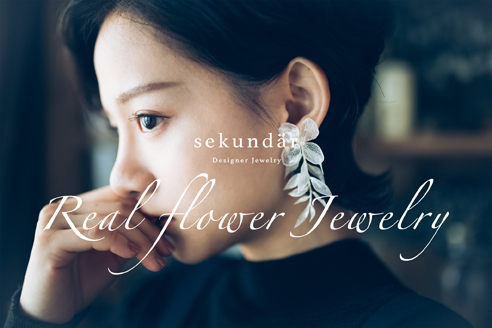 Sekundär is a fashion designer label based in Berlin, offering one of a kind accessories made from Real Flowers. The unique Jewelry line uses the beauty and story of each flower to highlight the uniqueness found in nature. Sekundär was founded by Chen, Wen-Ting in 2018 in Berlin. Chen, Wen-Ting is originally from Taipei, Taiwan. “Sekundär“ is a philosophy, a way of life that means ‘second place’ in German. The idea comes from the ancient Chinese philosophy of Daoism, against the Human-Centered Theory. Instead, we believe all things are closely linked and exist equally, however great or small; we stand behind all things on the earth and put the others in the ‘first’. We stand apart from fashion’s modern value system. We do not view ourselves as number one; we do not chase standard beauty, we are different, we are ourselves. In the era of mechanical mass production, Sekundär appreciates the spirit of artisans and their ability to awaken a material’s soul while inspiring our inner listener. Sekundär offers much more than fashion items, it offers a different lifestyle. The products bear our spiritual sustenance; full of hopes and imagination.